Aggregate Winnipeg | Home | Glacial Aggregates Inc.
We carry a large and extensive stock of material, from washed stone to specialty sands and limestone. Fast loading times, large inventory, quality product and with access to a large flexible fleet of trucks, we can meet the needs of any project. Our friendly team is always available to help. Glacial – Your number one choice! At Glacial, we have the ability to produce any unique product requirements you have. Our production facility also has a great degree of flexibility that allows us to meet deadlines and always stay on schedule. Open year round, our operation is here to make sure that your aggregate needs can also be met in the winter. Moreover, we also offer transportation services that can coordinate hauling to and from your job site. Our CCIL Certified lab has highly trained lab technicians that average more than 30 tests per day during the busy season. 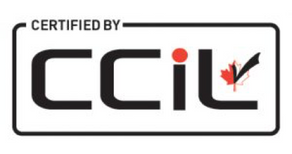 Our products are rigorously tested to ensure that they meet or exceed our customers' expectations, and are tested against specifications designed by MIT, ASTM, CSA, the City of Winnipeg, and individual customers. Additionally, our concrete material has a range of CSA/ACI tests completed annually by a third party. This includes: petro graphic examination, L.A. abrasion, relative density, resistance to freezing and thawing, etc. We keep current and historical data of all manufactured material backed up on our servers, ready to access at any time. You can be assured that our aggregates are of the best quality, thanks to the expert team in our lab. Contact or visit us today. We are conveniently located just north of the city, off of highway 59. Trouble getting through on our main line?